These spangly, dangly earrings are as beautiful as they are lightweight. 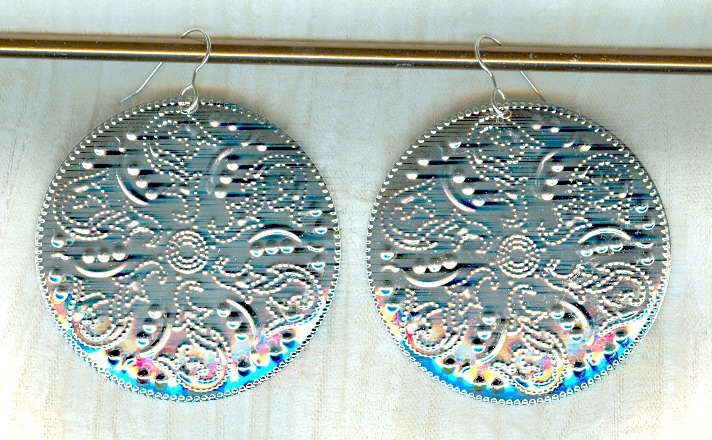 They're made from silver plated brass that's been stamped into an art nouveau pattern of swirls and paisley. The discs are a full 60mm (a bit less than 2-1/4 inch) in diameter. They dangle from sterling silver French hooks.